Hyundai iPod adapters and iPhone adapters, iPod cables for Hyundai Getz Accent Tuscon Santa Fe i10 i20 ix20 i30 i40 ix35 ix55 Santa Fe Coupe etc. Connect iPod or iPhone to your Hyundai car stereo. 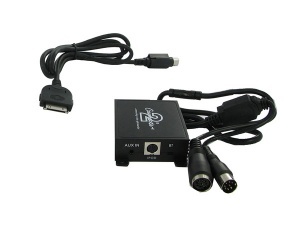 Hyundai iPod adapter and AUX input interface for Hyundai models 2004 onwards with 8 pin CD changer connector at rear. 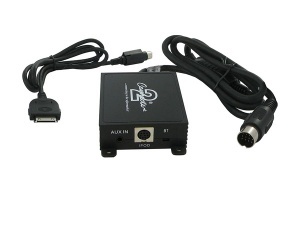 Hyundai iPod adapter and AUX input interface for Hyundai models 2004 onwards with 15 pin CD changer connector at rear. 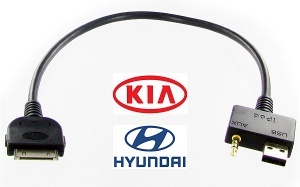 Hyundai and Kia iPod and iPhone cable for 2009 onwards models with iPod facility via USB and 3.5mm jack.